Each year the Pass Christian Historical Society invites the public to a beautiful and notable home site that celebrates the rich history of the Gulf Coast and Pass Christian. This year the 39th Annual Home Tour & Garden Party will showcase a pair of Greek Revival style homes designed by celebrated architect Barry Fox of New Orleans and owned by Danny and Mary Clark Conwill. 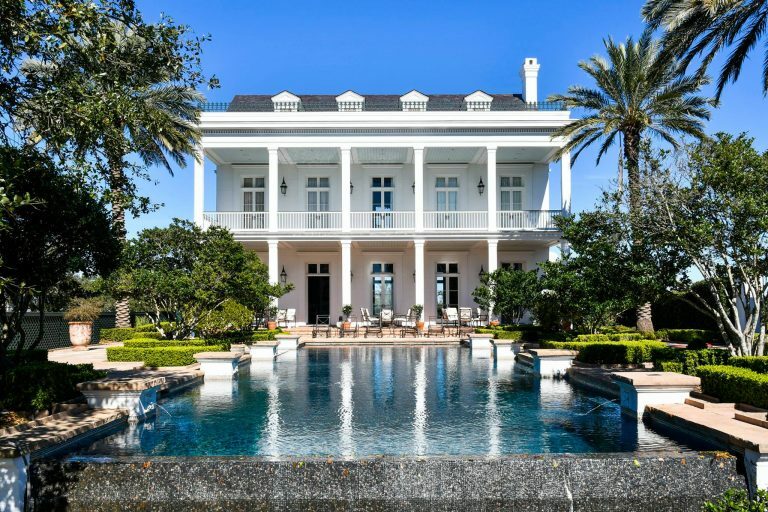 The homes at the 910 West Beach family compound suffered major damage as a result of Hurricane Katrina, but have been expertly restored and their majesty reclaimed. During the event, which will take place on Sunday, May 7th from 2-5pm, one of the two homes on the compound will be open for tours. Canapes and other light refreshments will be offered as well as wine and tea while attendees enjoy a croquet match played by Historical Society members in the tiered gardens and grounds designed by landscape architect René J.L. Fransen. Tickets for the 39th Annual Home Tour & Garden Party are $30 in advance and $35 at the door. Advanced tickets can be purchased online through midnight on May 6th as well as in person at Cat Island Coffee House/Pass Christian Books. On the day of the event, advance tickets can be purchased at the Pass Christian Yacht Club from 11am-2pm. For more information, please call (228) 452-7254 or visit http://passhistory.org/events/2017-tour.